Since it's the biggest shopping holiday of the year, it can be easy to think Black Friday has the best deals across the board. If you’re willing to fight your post-Turkey fatigue to battle the crowds, you should be rewarded with the deepest discounts you can get all year, right? Wrong. 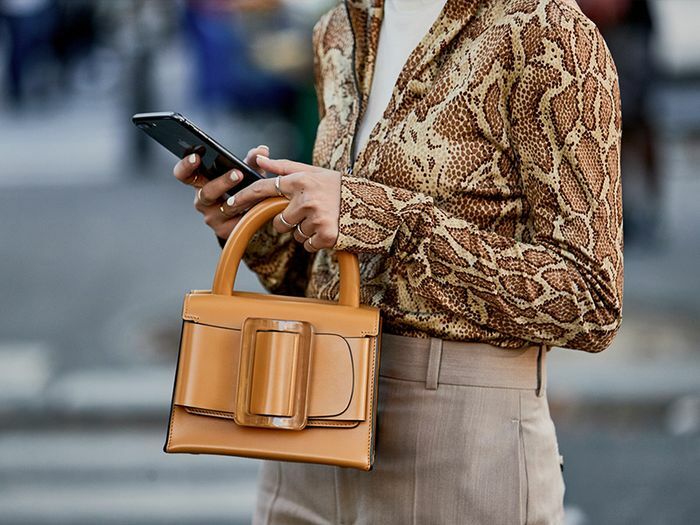 For some items, it is the perfect time to pounce on a bargain, but there are a couple things in the fashion category that you can actually get for cheaper at other times of the year. To narrow in on what those are, we tapped shopping and retail expert Sarah Hollenbeck of BlackFriday.com. She let us in on the fashion items that are worth buying on Black Friday (athletic footwear and wearable tech like Fitbits), and those that aren't. Keep reading to find out what falls into the latter category, and then scroll further to check out fashion editor–approved Black Friday sales. According to Hollenbeck, "The holiday season isn't when you will see the biggest sales. If you can, try to hold off on your jewelry purchases until after Valentine's Day. That's when you'll see deep discounts as retailers look to clear out what didn't sell throughout the winter months." Though anytime you’re buying jewelry on major sale, keep in mind that the price of diamonds and gold are dependant on their market value, so seriously discounted jewelry may mean that it’s not worth a lot to begin with. The quintessential winter clothing item, the coat, may be tempting to buy on Black Friday, but you'll get cheaper deals at the end of the winter season. "Several large retailers love to put out discounted clothing options for shoppers on Black Friday and Cyber Monday, but you'll find the best deals when shopping out of season. Those deals will be far superior to what you find on Black Friday and Cyber Monday, as retailers are typically just capitalizing on the timing given that it's gift-giving season and just the beginning of the winter season," says Hollenbeck. If you do want to buy a winter coat because, hey, it’s winter and we’re fashion people, make sure to weigh Black Friday deals against Cyber Monday. Sometimes the latter has steeper discounts, and you can shop straight from work… on your break of course. Details: 30% off sitewide, with some styles up to 50% off. Free gift with purchase of two or more pairs. Details: 50% off select fall and winter styles in store and online. Details: 40% off the entire store plus extra 15% off sale in-store and online with the code BLACKOUT. Details: 25% off full-price items plus an extra 50% off sale items on Cyber Monday. Details: 30% off select styles. Details: 20% off full price styles with code BLKFRI, and F/W 18 will be marked down to 30% off. Details: 20% off everything in store and online from November 23 to 24, and online November 25 to 26. Details: 50% off sitewide with code LIANA50. Details: 20% off F/W 18 and further markdowns on November 26. Details: 30% off everything online and in stores. Details: 30% off select styles with code BF18 November 21 to 25. On November 26 take an additional 25% off with sale code CM18. Details: Additional 20% off sale and 50% off of spring, summer, and pre-fall. Details: 25% off all black leather items. Next up, the best Amazon Black Friday sales.